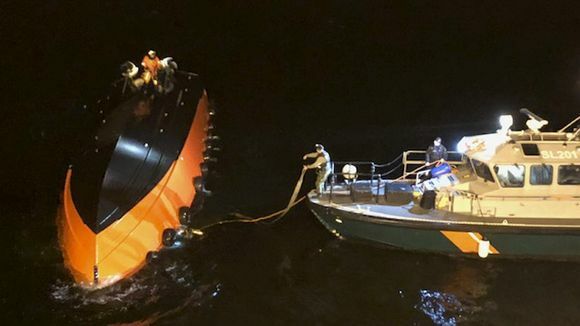 A pilot boat overturned in the Gulf of Finland on Friday evening. Both of the passengers on board died in the incident. A pilot boat capsized off the southeast coast of Finland Friday evening, triggering a large-scale rescue operation to find the two passengers who were on board. Finnpilot CEO Kari Kosonen later confirmed to Yle that the bodies of both individuals were found inside the overturned boat's interior by rescue teams. "I would like to extend my deepest condolences to the relatives and co-workers of those who died in the accident, and thank everyone who participated in the search and rescue effort," Kosonen said. 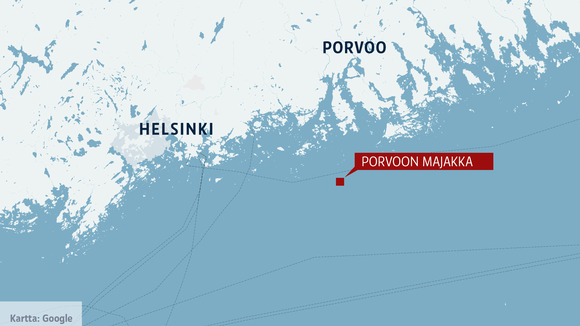 At 5 pm Helsinki's Maritime Rescue Centre received notification of a capsized pilot boat south of the Porvoo lighthouse, off the southern coast of Finland. The Finnish Border Guard obtained information that two individuals had been on the boat. Pilot boats shuttle harbour captains back and forth to incoming ships, so they can bring the vessels safely into port. It is a common operation at all of Finland's busy ports, and accidents of this nature are very rare, says Kosonen. After the call came in, Border Guard ships stationed in Suomenlinna and Porvoo were dispatched to the area, along with rescue helicopters from Helsinki and Turku, and the Border Guard's largest offshore patrol vessel Turva. Divers from the Central Uusimaa region's rescue department were also called to the scene, in addition to the Helsinki Rescue Department's Maritime Incident Response Group, which specialises in maritime accidents. The Border Guard reported bad weather and heavy swells at sea during the rescue, which prevented the team from righting the boat. The boat eventually sank underwater, and a diving team later found two bodies inside the vessel. The deceased had been on their way to pick up a harbour captain from an incoming ship. The reason the boat overturned is unknown, and Finland's Accident Investigation Board has started an inquiry. The Border Guard also announced late Friday night that the police have launched an investigation into the two fatalities. "This is a day of mourning for everyone at Finnpilot. We will investigate the cause of this tragic accident together with the authorities, so we can guarantee the safety of our employees in the future," CEO Kosonen said.